It's been about 6 weeks since I've written a post, here. It was the week before Christmas when I said I needed a break. So, I've been on a journey this last 6 weeks, and it was a necessary decision that was a long time coming. As some of you guessed I'd been having health problems again, and they really had me down ...mentally and emotionally as well as physically. I don't want to talk negative when I'm going through something, so often it's best if I just stay quiet. Don't get me wrong, I don't suffer in silence, but I don't like to broadcast it either. I believe in joined forces in prayer, but there are times when I have to face and fight my battles with God as my only Source. I've had a few of you email or leave comments checking up on me and some of you have gotten an earful; probably a lot more than you cared to hear. I have been angry and frustrated for awhile...not at anyone individually or even the blogging world in general. Just angry and frustrated with my circumstances and outlook in life, and I was the only one who could make those changes. So God asked me to lay blogging on the line. I've said it was like a little addiction. I needed to give blogging up, and I didn't (and still don't) know if I can pick it back up. Lot's of things have changed in my thinking about it. Expectations, frustrations, guilt...so many emotions I never want to go back to. Actually, I have many concerns about even publishing this post. I've never thought of myself as a perfectionist, but I am a person that believes in doing things to the best of their ability. My thinking is that if I can't give 100% then it's not good enough. I'm having to re-examine that way of thinking. I don't think God is calling me to be 100% at this. But just be me and recognize that there are priorities and limitations. I know, I know...I've talked about this before. The big thing I realized is that blogging doesn't have to "own me". I don't have to keep it in my head every day 24/7. It doesn't need to be a mindset. It doesn't have to be a priority. Blogging is not my "job". It needs to be a creative outlet and an enjoyable aspect of my life. It doesn't have to define who I am. I'll just share a little of what I was dealing with healthwise. I have to take a blood thinner since I had blood clots in my heart back in the Fall of 2013. It was a really scary time for me and I just scratched the surface of things here on the blog. It was a miracle once again that I wasn't dead. When a blood clot goes through your heart and then one to the brain, you usually don't live to share the experience. I have to take a kind of blood thinner that can't be monitored (like Warfarin), so there's no way to really know if you're getting too much or too little. It's specifically for people that have cardiac stents. Early last summer I started bruising horribly (like a rotten banana) and had the little capillaries under my skin start breaking and bleeding. I had 2 cardiologists, one said get off of it, the other said keep taking it...so I cut the pill in half. (I've since seen a Hematologist that says keep taking it, that it's what I have to do, just back off a little if I start seeing those earlier symptoms) Things got better but I started having severe fatigue in the Fall and then by the beginning of December my chest pain was at a much worse level. I have constant angina and take several meds to keep it manageable but none of them were doing the job. So by Christmas I was in bed, feeling like another blood clot was closing up my artery. I started back on the higher dose of blood thinner but it's taken weeks to get back to some sort of normal daily life. Christmas day was spent in bed, and my thoughts in a whirlwind. All I wanted to do was crawl under the covers and stay there. (In reality and metaphorically speaking). So that's where I've been and what I've been doing. I've made a conscious effort to NOT overdo it in any aspect of my daily life. I've read more than a dozen books and left housework and all things decor related undone, and it's been ok. There were days when I didn't check emails or blogs or even turn on my computer. I made it through, and I can't go back to "before". I'm still in the "process", but I do see the light at the end of the tunnel. I've started journaling again through my daily scripture, and that's been good, like slowly peeling away a hard outer layer of something dead to bring a peek of something new underneath. I feel like soon I'll get the "go ahead" in God's timing to share some of this with you...probably on my "Spiritual" blog (that's been dormant for a year) or on a separate page that I set up. I'll let you know when that happens. Sending you good vibrations and hoping your health continues to improve. Thank you for letting us know how you are doing, and thank you for your wonderful blog. I'm so sorry you've been feeling so rotten, and I hope you continue to get your meds corrected and back to feeling better again. Thank you for checking in on your blog, Debra. I see your blog feed's photo on my sidebar whenever I'm on my own blog, and I always think about you and hope you're okay. It's nice to hear your "voice" and know you're still with us. Take care! Sending good thoughts and love to you. I am glad you doing okay and I hope you just get better and better! I am so glad that you are back. I had a feeling your health was not the best and kept you in prayer. Debra, I'm so sorry you are going through this extended illness. You really are right that blogging isn't life completely and sometimes you have to step away. I hope you know that many of us will be thinking of you and praying for you. You've always been a sweet voice out there and I hope you won't go away completely. Bless your heart and your sweet soul, dear friend!!! I have missed your voice in The Land of Blog tremendously!!! First and foremost, take care of You!!! and an enjoyable aspect of your life!!! Last year, I went through some serious health issues myself. let alone blog, but I continued to do what I could. My prayers continue daily for you, dear one!!! I believe God has a plan for your life. . .through your blog. In the meantime, know how much you are loved!!! Hugs and prayers Debra. Resting, putting your health first is so very important. Really glad you did write this post though. It's so good to hear from you, I have been thinking about you. Take it easy and take care of yourself...your health is #1. You are a dear precious blogging friend, and I wish you all good things- however and whenever you decide to do it. Taking care of both your physical and spiritual health is by FAR the most important thing, so you do that, hon. There are a million reasons to put blogging on the back burner. I do it all the time, haha. Love, prayers and hugs your way now and always. God bless! Debra, thank you for writing this update. I don't have health issues, but I could be the one writing your words about blogging. I, too, took a bit of a blog break. I hadn't posted since Christmas Eve until just a few days ago. I want more balance in my life, and that means less time on the computer. I can so relate to your comment about being in your mind 24/7. 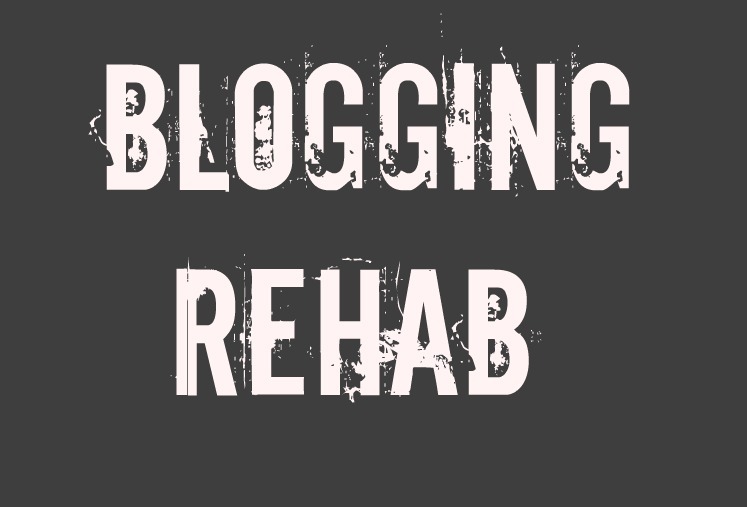 For me, blogging is a type of addiction. I've let go in the past month and it feels refreshing. I don't want to stop all together, but I'm not going to feel compelled to create a post unless I'm motivated to do so. My blog is a creative outlet for me. It doesn't define who I am. Thanks for sharing. I admire you and look forward to any post you want to share with us. I keep you close in thought for improved health. Thanks for sharing your feelings with us. I understand your feelings because I have had similar thoughts and I don't have a heart condition. I think the problem, at least for me, is that blogging has changed drastically when we began our little spaces. Back then it was as if we all lived in Mayberry and now it's as though we have collectively moved to NYC. It's competitive, and as bloggers we are competitive folks to some extent and drive ourselves to continually put our best foot forward as the pond grows bigger and bigger. There is the constant pressure of parties and projects. We pressure ourselves to keep up with all of it and I am thinking that a little voice inside Miss Debra is rebelling. I certainly am. So I decided after the first of the year to cut back my manic posts and return to a sense of calm. I refuse to feel pressured by party themes and schedules and started to write when I wanted and about what I wanted. I have other projects that I am working on and it seems you do too with your spiritual posting. Give yourself a sabbatical. You deserve it. I for one will always keep you on my blog roll and will check on you. If you wear yourself out too thin your health suffers, your spirit suffers and your blog will become a burden and not a joy. Take care of yourself dear girl. Give yourself the breathing room you need and it will help to improve your heart in ways that are not just physical. We all know how very talented you are and you earned a chance to nurture your creativity a bit. We will be waiting and always keeping you in our prayers. I sure hope they can help you to get the right amount of medicine. Scary stuff. Rest for sure. So glad you are sharing. Do take care. I've thought of you often over the past month, Debra. Blogging does take a lot of time and effort, and when you're not feeling well, it's hard to drum up the energy to be a part of it. I know what you mean about giving 100% of yourself, but in the end, you need to take care of yourself. I hope you start feeling better, and if you pop into the blogworld now and again, we'll still be here. Debra you are missed, a dear friend in blogland, and want to offer you gentle hugs. Please take care of yourself & come back when you are ready. Offering up prayers for you. Please take care of yourself, for that matters most. I realized blogging wasn't that important when my Father died in a car accident. I continued to blog after that, but it didn't hold the same importance to me. Now I don't blog at all. Although I enjoyed it, it was doing more harm than good to my spirit and I felt like God wanted me to lay it down. I fought that for awhile, but now it is freedom. I don't feel so pressured to "keep up" with all the other blogs and I definitely spend less money now that I'm not trying to keep up. Blogging is not what it was at the beginning, and after all these years, just about everything has been told and retold a dozen times. I have enjoyed living in the freedom of not comparing myself to fancier blogs, bloggers with more income, and continual parties. Breathe - and enjoy this time of rest. We've all heard the saying, "If you don't have your health, you don't have anything." But for me, it has taken getting older and more unhealthy to realize just how true this is, and I am learning the value of slowing down, rest, and just breathing. God bless you and uphold you in this season of your life and know that prayers are coming your way. Sending prayers your way. Continue to take care of yourself. I've thought about you a lot over the past 6 weeks. I'm so sorry that you are going through this. I hope and pray that this find you feeling better all the time. Thank you for keeping us updated. I was thrilled to see a blog post from you and I look forward to reading an online journal. Our faith walk is really what it is all about. I am very new to your blog, so I really didn't realize the health concerns you face daily. May God continue to be with you as you continue to recover. Debra, your presence and visits will always be welcomed. I look forward to any thoughts you may share, either here or on your blog that's been dormant. Thanks for letting us in. Be well. You know you're in my thoughts and prayers. Debra, I'm so sorry to hear about this continuing issue. I probably told you once before (not that you'd remember) that I had blood clots in both lungs 5 years ago. I remember that fear still. It immobilizes you. I did not know how serious it was until I came out of the hospital. Every odd feeling made me believe that the clots were back. I stayed on coumadin for a year until my D-dimer level was once again showing that it seemed I would be okay. It still scares me. To know that you are dealing with this on a regular basis makes me so sad for you. I pray that you will soon be free from this horrible monster. God bless you. I'm so sorry to hear what you've been battling! It's never fun or easy when we are sick. I'm so glad you are feeling somewhat better and are gaining your strength back! One day at a a time! Sending you all the good, Debra! Oh Debra...so keeping you in my thoughts and prayers. You are doing what is best for you and from what you have written it sounds like you are on the right path. I do love your solution to what the two cardiologist had to say about your blood thinners...you have the wisdom of Solomon! Continue to take care of yourself and sending you well wishes along with lots of hugs. Oh, Debra! I'm so sorry to hear all of this and you will certainly be in my prayers. The main thing is that you take care of yourself. I know this is nothing like you're going through but before Christmas I fell and broke my knee cap and I just can't do anything. It has drawn me closer to God and that's a good thing. Just know I've missed you but you take care and you're in my prayers. Shelia, Honey, I saw what happened to you before I crawled under the covers! you've really been through it. The Holidays are the worst time ever to deal with something like this since we all are mamas and have the need to make Christmas good for our families. I'll be over to visit! So sorry you are going through this health journey...saying prayers for strength and healing! You do what you need to do to get back on a "healthy" path and everything else will fall into place. May you find peace and comfort! All the best! I just thought of you this afternoon, Debra. It must be very difficult and threatening to deal with such kind of heart problems. I'm so sorry that you have these severe health issues and I wish you all the best. Hopefully you will feel a lot better soon. I am so glad you were able to give us some insight so we know where you have been. I have missed you!! !As a retired Health care professional, I can understand why you took some time off and keep on taking care of yourself....You have to put your self and your health at the top!! I hope you continue to send us little lines so we know you are ok. Take care of yourself and God bless you Debra. I am so sorry you are going through health issues again. I had a short hospital stay the first of January and still have some fatigue problems. It is important to take care of ourselves. Sometimes that just gets to be a priority over everything else in this life. Sending prayers -- God has a good plan for you. I was so glad to hear from you and so sorry to hear it's not been a good time. You are one of the strongest woman I know, not only in character but in your faith and strength in God. Blogging is a lot of pressure that we put on ourselves. Quite frankly I don't care what you write about because I would enjoy whatever you do or say. Vignettes, decor is a small part of who we are, or rather what we like, so know this, we, as your friends care for you, and don't want you to be anyone other than yourself. I miss you and will always be waiting for no matter what you have to say, or not. You have been missed. I sure hope and pray that you take care of you.... and everything else after that. I'm sorry to hear what you've been going through, Debra. It's so hard to have to deal with health issues, especially when you can't do things you want to do. It's hard making changes...and you have made quite a few the last few years. You have been an inspiration to me, as I have had to give up a lot of what I have done in the past because of health problems, and I'm trying to find the path God wants me to walk now. I've come to realize that things are different than they were in the past and I don't have to be on anyone's schedule. Watching you downsize your home has been an example for me, too, as we will probably be moving in the next few years. Please take care of your self. You are important to us. Your health and spiritual well being should be above everything else. I am having physical problems myself and having to make some difficult decisions. god's speed. Debra - Was so glad to see you had posted. Sorry the absence was because of your health. You are so special to so many of us so you need to take care of yourself and do just what you feel like doing. Praying for healing and peace for you. So good to hear from you Debra and happy you've taken the time you needed to take care of yourself and seek the Lord...He will surely give you rest! Prayers for you and continue your healing! Hi Debra, we are all thinking of you and there for you. You know I am only 100 miles away if you ever need me. You are in my prayers! Sorry for your ill health and hope you will be better soon. Please continue to take care of yourself and know that we bloggers are here for you, supporting you, your decisions and your health through prayers and good wishes. Oh my goodness, keeping you in my thoughts and prayers! Prayers for you Debra. It is our faith in God that enables us to carry on. I'm so glad to see your post today but so sorry you are having health issues... My brother-in-law was having similar problems all summer and fall, kept going to his doctor, not getting better... He finally went to a cardiologist ... and voila! Within a week he was no longer so run down and sick and miserable. It is such a relief to us that he has found a great doctor who was able to get him back on track....who knew there was a miracle in a new set of eyes???? Sending prayers for you and good thoughts to you... have always loved your blog because you create such beauty in your words and your home... Be well, Debra! Thoughts and prayers are with you! So sorry to hear of your health struggles -Kudos for taking a break- Blogging should be a labor of love and not added to pressure to a busy life- If and when you return to it you will always have your fans - and I'm sure they are truly thankful for the many many posts that have delighted readers over the years. I am just so sorry to hear that you've been dealing with such terrible and scary health conditions! On one hand, you're lucky in that you've been given a second chance on life and don't take it for granted, but on the other hand you're still having to live with the possibility of it happening again. Heart problems are so serious and scary! It's good that you are under a doctors care and hopefully they will continue to give you the proper treatment you need. I completely understand the need to step away from blogging. It can be very time consuming! If your heart isn't in it (no pun intended) then it's definitely not worth it. I think you should just continue to do what you want and only blog as you feel fit. No worries! Hi Debra, while visiting another blogger I noticed your comment, I had this serious draw to visit you, it's been far to long, and I get it, it's hard to visit everyone,,and we get stuck in a rut of visiting the same ones that visit us. I FEEL like I am listening to my mothers story here, baxk in her early 50's she ended up with several heart attacks that should have knocked her off her feet and dead to the floor, but she survived, her specialist have kep her alive with triple bypass stents / shunts as they call them, and blood thinners leaving her blackenedas you speak here. Angina os a word we here are so familiar hearing, and multiple trips to emergency is an on going ordeal for us, each one thinking it's the last. She is 76 and is hanging in there, and her doctors tell her to do what she loves, mild physical movement, keep her mind active and stress levels at bay. Every word I have read here sounds exactly like my Mom, my mom could not walk from the bed to the bathroom without being out of breath. She has with good treatment gotten better, and each day is one she surrounds herself with cans and cants, and doing and not doing what she wants. I think blogging in many cases is a bit of a life support, a distraction of thinking about life, and inspiring others...as well as living soulfully daily with the beauty God affords us. It's a bit of house WISDOM! and letting the space we live in help us grow and reap the word of God in how each room and pace, and pieces are related to scripture if we see what we are shown. I have followed you from the beginning , listened and read you here and your spirtual site, read and followed your hospital stays and prayed along with your fellow friends, bloggers, and family who prayed for your full recovery. I want ro assure you that you are not forgotten, God is not allowing you to give up, and that sweet voice is telling you what you need to do here and there. 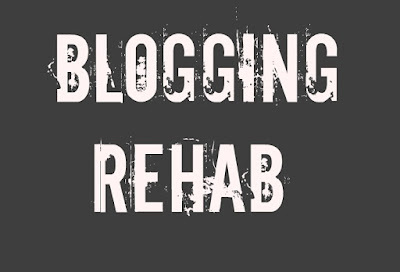 Blogging in many ways has been my life saver, a place I can share, inspire, encourage, lend a helping hand, and embrace hardships ones are going through as well as my very own. It's a bit of a distraction as to daily health issues myself, as for yours my dear, you are a messenger of scripture even on your design blog, with all you inspire, a teastimoney in trusting in him. Make no mistake I was meant to visit you, because once again you have encouraged me! I am praying for you, I will ask and ask again and again for peace of heart, that a beautiful calm come over you, and that yours days a filled with peaceful daily thought. Where those bruises like badges of honor that God is with you, and your being taken care of.